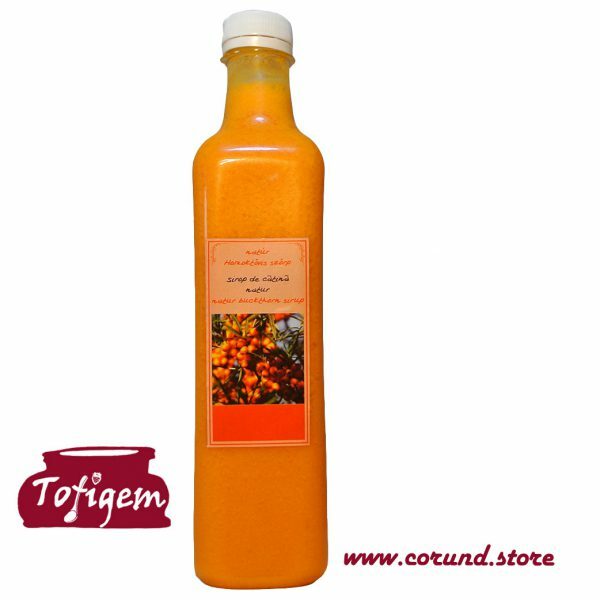 The buckthorn fruits are collected in late summer in the spontaneous meadows and pastureland around Corund, and are transformed in a strong taste, healthy passionate syrup based on a classic, traditional recipe.. The buckthorn fruits are collected in late summer in the spontaneous meadows and pastureland around Corund, and are transformed in a strong taste, healthy passionate syrup based on a classic, traditional recipe. 500 ml, pasteurized only, free of added sugar, no preservatives or gelling material.